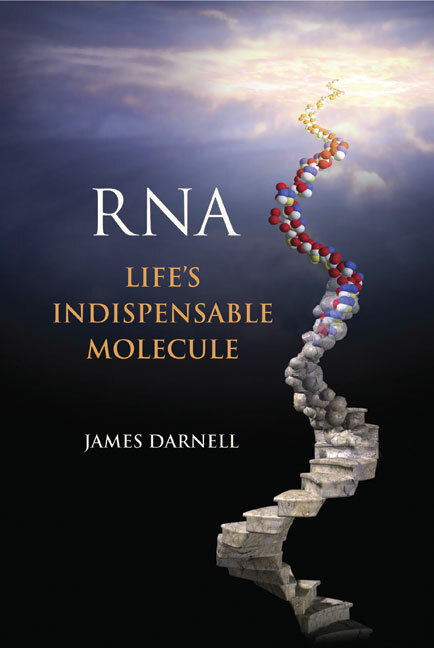 In RNA: Lifes Indispensable Molecule, Jim Darnell provides a comprehensive and captivating account of RNA research, illuminated by his own life-long and celebrated engagement in the field. Darnell describes how scientists unraveled fundamental questions about the biochemical and genetic importance of RNA—how mRNAs are generated and used to produce proteins, how noncoding and catalytic RNAs mediate key cellular processes, and how RNA molecules likely initiated life on Earth. With a scope extending from the early 20th century to the present day, and with the clarity expected from an accomplished textbook author, he conveys the intellectual context in which these questions first arose and explains how the key experiments were structured and answers obtained. The book is geared towards scientists from the graduate level on up, and will particularly appeal to active investigators in RNA biology, educators of molecular biology and biochemistry, and science historians. James E. Darnell, Jr., M.D. has been Vincent Astor Professor at The Rockefeller University since 1974. His career has included poliovirus research with Harry Eagle at the National Institutes of Health, research with François Jacob at the Pasteur Institute in Paris, and academic appointments at the Massachusetts Institute of Technology, Albert Einstein College of Medicine, and Columbia University. He has mentored over 120 doctoral students and postdoctoral scientists. From the very beginning of his first lab at MIT, Darnell, his students and postdocs have studied RNA, its synthesis, processing, and transcriptional regulation.